Accompanied by music, the models will enter from stage right or left or back (to be determined by the venue) …. walk out to an x marked on the center stage floor and do one front pose of your choice for the photographers and judges, walk to the left of the stage do one front pose of your choice, walk to the right of the stage for a final front pose, walk back to the center of the stage, spin show your back, turn and wave to the audience and go to the side of the stage near the curtains. Comparisons will begin immediately following the presentation round. Only front and back poses will be required for comparisons. There are no specified poses for front and back, it’s completely up to the contestant to present themselves in their most flattering pose. Depending on the numbers all the Models, one class at a time come on stage and line up on the sides. Awards will be handed out to the top 3 in each class. Following the award presentations, the winners from each class will compete for the Overall Absolute Touch/Status Fitness Magazine title. Judging: The judging panel will consist of photographers, media reps, editors, agency scouts and physique models. Head Judge will be Status’ Editor-in-Chief Rodney Jang. There will be approximately 3 to 7 judges. You will be judged in the following manner. On Stage: Competitors are judged on their presentation, poise, confidence, appearance, physique, and overall positive energy and marketability. The structure will be much more “laid back” focusing more on the personalities and marketability of the models. This is a media model search in which the contestants will be featured on the cover of Status Fitness Magazine and be considered for sponsorship opportunities with Status Fitness Magazine, supplement companies, and fitness apparel companies. The judges may call upon chosen Media consultants to review the selection. Introduction: All models from all classes will enter the stage and walk up the center in pairs, waving to the crowd, then stay on stage for a group photo opportunity. The Model Search is open to anyone 18 years of age or older, anywhere in the world. All Canadians competing will need a current Canadian Physique Alliance (CPA) membership. We invite any female who wants exposure and get noticed by industry top photographers, magazine editors, supplement & clothing companies and model agencies looking for a new face. Competitors entering other competitions within the SuperShow can also enter this event. For the Women’s Model Search, there will be two classes – Short (up to and including 5’5”) and Tall (over 5’5”) and one Masters Class (35 years of age and over). Attire: Bikini of personal choice and high heels, thongs are prohibited. Jewelry can be worn. No props allowed. Featured on the Front Cover - Status Fitness Magazine - Value Priceless!! Absolute Touch VIP Deluxe Hair and Makeup Package (includes multiple hair, makeup and tan); Onyx Aesthetics and Absolute Touch complete signature facial along with skincare products. Krystle Creations will provide free RENTAL competition suits to each female enrolled in the Absolute Touch/Status Fitness Magazine Model Search at a discounted price of $50. All suits are standard Canadian size (XS, S, M, L).. Competitors may also wear their own competition suit. All females must book an appointment with Krystle Creations prior to the event for a fitting and be assigned a suit. Competition suits will also be available at Krystle Creations Booth #932 on competition day. Competition suit and/or accessories MUST be returned to the seller (Krystle Creations) at the end of the competition or bought by the model. 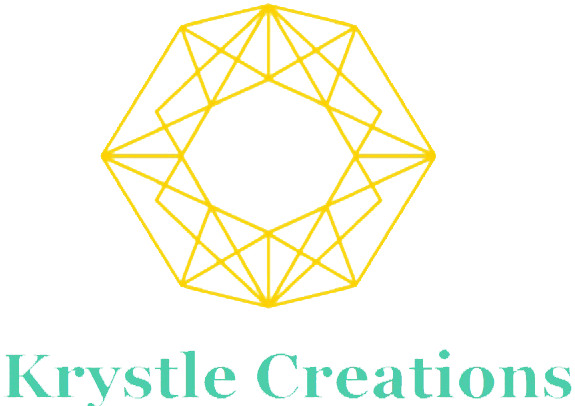 For an appointment please e-mail contact@krystlecreations.com. Registration is now Open. Be sure to avoid the on-site late fee and register early. Tickets for your friends and family are $20.00 in advance, $22 at the door. Registration will be on Sunday June 2nd from 9:30 a.m. to 11:30 a.m. If you choose to register online it is $100.00; registration will be open until Friday June 1st noon. Thereafter you can register onsite at a cost of $125.00. This event would not be possible without the support from our fabulous beauty team.